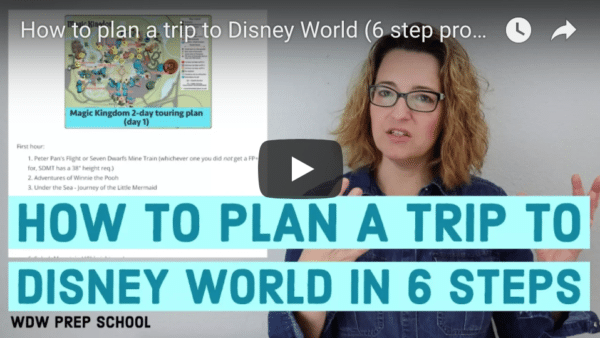 When people think of Epcot, they tend to think of a few things: Test Track, Soarin', and drinking around the world. While Epcot is renowned for all of these things, one of the best things you can do while visiting is enjoying a meal at the Garden Grill at The Land. The Garden Grill is located on the top floor of the Land pavilion in Future World. This restaurant is unique for a number of things: its family-style service, its character interaction, and being the only revolving restaurant on Walt Disney World property. The food served at Garden Grill is all you care to enjoy family style. Imagine the laziest buffet ever, where the food is brought to you when you want it. You're started with a salad made from veggies grown in the greenhouse on the Living with the Land attraction! I'm not much of a roughage eater, but the dressing is what really makes the salad. You also get a serving of rolls and honey butter, which can be tempting to fill up on, but you got to prepare yourself for the main event! The main course of this meal is referred to as Chip and Dale's Harvest Feast. A vast assortment of American-inspired dishes are presented before you: sirloin in red wine sauce, mashed potatoes, turkey with stuffing, Italian sausage with peppers, macaroni and cheese, sweet potato fries, and green beans. When you are ready for more, all you have to do is ask your server for another helping of a certain item, and they will probably bring it to you! I wish all buffets worked like this. Throughout the course of your meal, you will be visited not once, not twice, but multiple times by Mickey, Pluto, Chip, and Dale. This is unique to this dining experience, as most character meals involve one visit per table. It was such a delight to have Pluto actually sit down at the table with me and try to enjoy some of the meal with me! Mickey is absolutely adorable in his little farmers outfit. I decided to have a little fun with him, and tell him about the fact that there is been a dog sitting out on the porch of the house in the living with the land attraction, and he decided to take upon himself to go and yell at the family living in the house regarding that. I don't think they'll ever listen, but it sure made us laugh. The meal ends with the restaurant signature dessert: a fruit cobbler with vanilla bean with cream. I could've eaten the whipped cream by itself, it tasted exactly like vanilla ice cream. Overall, this is an experience in character dining that I've been lucky enough to enjoy it multiple times. I keep coming back because the food is good, the character interactions are top notch, and I just love the atmosphere of the restaurant itself. The restaurant serves breakfast, lunch, and dinner from before park open to park close, and costs one Table Service credit on the Disney Dining Plan. Reservations are typically easy to come by, because the restaurant itself is so big. 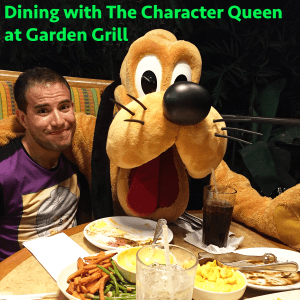 If you're looking for a character dining experience for your young ones or if you just like character dining yourself, Garden Grill is not to be missed! You might see me there, chowing down on that salad. Hi! I was wondering if the characters dance or so the napkin twirling? Thank you! Hi, 1st timer here. Do you have to buy a ticket for Epcot to eat here? Yep! Almost anything you do inside the parks will require a park ticket, including eating in the restaurants. Are the characters available for all 3 meals? I am so excited! My family and I will be eating there on December 17th! I have eaten at the Garden Grill but it has been a long time ago….I am taking my Granddaughter for her first Walt Disney World experience in December and this is the 1st restaurant we are going to!